What will happen when the built and the grown environment meet to create a whole new city? The City of a Billion Pines presents a nature-based vision for Beijing's development. The aim of the exhibition and the symposium is to provide us with a concrete understanding of what a city can be when nature becomes a complementary part to the built environment. Thus, a complete city. 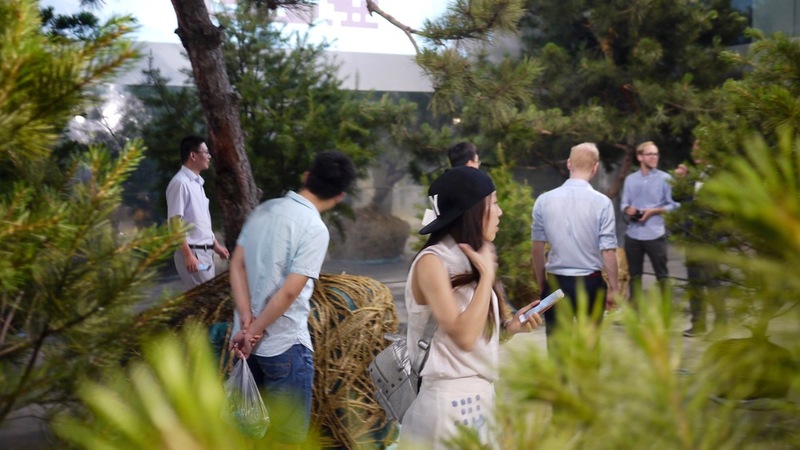 The City of a Billion Pines also invites guests of the exhibition to adopt the exhibited trees, which will later be planted out in the Chinese metropolis. In this way, the citizens of Beijing can take action and work together to create the future of their city. The City of a Billion Pines is part of a new initiative called ‘A New Welfare’, developed by SLA Architects, a platform for dialogue and collaboration in continuation of on the SLA curated Danish participation to the Venice Architecture Biennale 2014 called 'Empowerment of Aesthetics’.